Of the three tombs design by famed Chicago architect Louis Sullivan, two are in Graceland. This, the Martin Ryerson Mastaba and Pyramid, was the first. Ryerson made two fortunes -- in lumber and real estate -- in the second half of the 19th century. 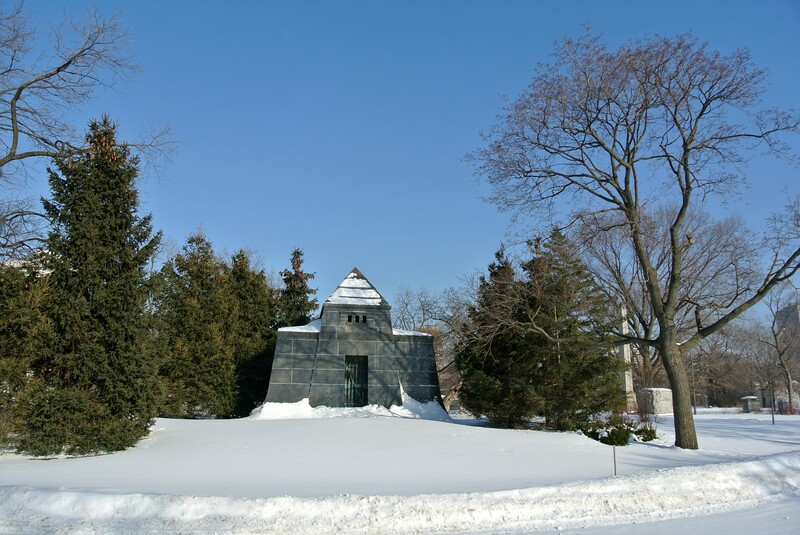 Sullivan and his partner Dankmar Adler had designed four Ryerson buildings, and son Martin A. Ryerson turned to Sullivan for this unique black granite tomb, which combines two Egyptian burial monument styles into one massive, time-defying memorial.